The OGL for the d20 System had opened a veritable Pandora’s Box in the gaming industry, as everyone with an idea, a friend who could draw, and a word processing program set out to make their own game/modules/supplements to make a buck. The situation reached a critical mass quickly, and an RPG bubble formed. Then, like all bubbles, it popped, sending dozens of companies into the dustbin of history. The pop had a secondary effect of spooking WotC, who had been rolling with 3/3.5e D&D for around six years at that point. 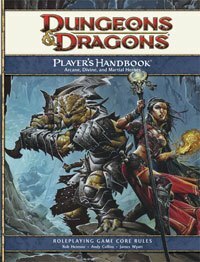 Concerned that the market had “spoken” (it had not, except against a glut of third party products of varying levels of quality), they began work on 4e D&D, and were determined to break the mould again. It would be the shortest, most confusing run of any edition.